After the first 2 L of NS, the patient is transitioned to 0.45% saline, delivered at 250 to 500 mL/hr with a continuous insulin infusion. FSG will usually begin to approach 200 mg/dL in about 4 hours, depending on the initial value. 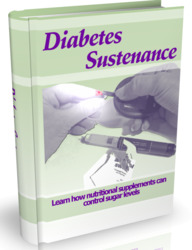 A safe rate of decline in glucose is approximately 150 ±50 mg/dL/hr. This may require hourly adjustments in the insulin infusion rates or repeated low-dose insulin boluses for refractoriness. Once the glucose level is approximately 200 mg/dL, the insulin infusion may need to be adjusted to 0.05 U/kg/hr and 5% dextrose with 0.45% saline administered. Insulin will promote glucose oxidation, generating CO2, which becomes plasma bicarbonate and further normalizes the pH. In some cases, as the anion gap is close to normal, a hyperchloremic acidosis occurs with decreased CO2. This should be of no concern because chloride given in saline replaced the ketonic anions before enough bicarbonate could be regenerated. Hyperchloremia will spontaneously improve as the patient advances to oral fluids.